I can’t say it’s any better or any worse than American Football culture, but, Bro, European soccer has taken over the way of the world here. At first you don’t think about it too much, even though Real Madrid scarves are sold on every corner, and every man you walk by is reading the sports section of the 20-minutos newspaper (which is only about soccer, no other sport of course), and then there are the kids in school. This includes elementary, high school, university and everything else in between. They can’t think about anything but soccer. This has played into their attire. They all wear chandal (tracksuit) every moment of the day. Even if they aren’t going to play football that day, it’s some sort of unspoken regulation that chandal must be worn at all times to maintain the social hierarchy of footballism. I remember last year Alejandra said that Americans dressed poorly. But what about the choni: the kid riding the metro with a monroe piercing, two gold rings on his finger, an Adidas t-shirt, and of course, swishy athletic pants and Cristiano Ronaldo’s model shoes by Nike? How is that any better than Chad Bro from Berkeley repping sweat pants with it’s school name on the side? I don’t see any difference. The best part about this soccer and trashy-fashion look is that nearly ninety-nine percent of the time, the kids don’t even do sports, or exercise. My friend David said it’s way cooler to wear a tracksuit and NOT play any sports. A friend asked me if I wore chandal when I gave my PE classes. And I said no, of course not. I ain’t no choni. They laughed. But now I sort of understand why it’s so important to look like you play soccer. It’s all this image because knowing everything about soccer is a way of life. You have to live it. And this country does, believe me. But now the chandal look has gone too far. Yesterday in my P.E. class, we were playing handball. I don’t know if you’ve ever played but since it involves you using your hands (go figure, right? ), and a ball (another brain-stumper), you have to have some sort of hand-eye coordination. This is self-explanatory. However, it becomes incredibly difficult to play when these children have only thought about soccer their entire lives and have never actually learned to throw a ball. The teacher had to cover that when you throw with your right hand, you step with your left. Many kids struggled with this. It was very surprising to me because throwing a ball to me is second nature. As much as I hate American football culture, everyone in the states can at least throw a ball. Look at the two biggest sports in the US: Baseball and Football. Throwing is a mandatory requirement of both sports. So we are all raised with the simple skill of throwing a ball. Now here in Spain, the most throwing they do are two-handed, over-the-head throw-ins when the ball pops out of the field and goes out of bounds. I just found it very interesting to see how strongly the football culture here has modified absolutely everything. Including primitive skills such as throwing. Though I have choni friends, and you know them. I love this blog so much, god. Hahaha, very interesting observation! I didn’t have to teach any other classes, as my school wasn’t bilingual. It would definitely be a challenge. Funny how language (slang) evolves. 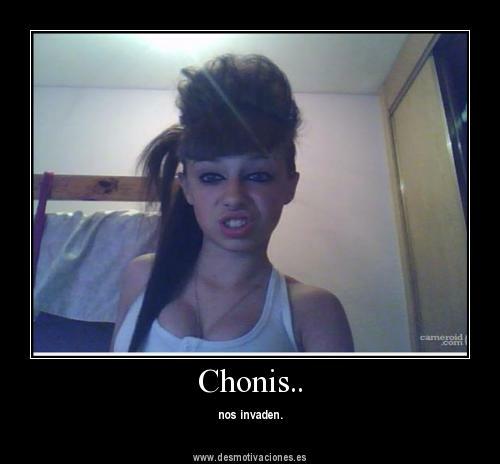 When I lived in Spain years ago, the term “choni” only applied to female kids – Choni is the shortname they would use for Asunción, maybe a popular name is Spanish ghetto hoods? They were also known as jennies (pronounced yenis) for the same reason. The male versions at the time were canis, chungos, macarras, and even jonathans (pronounced yónatans). The one word that could be used both for boys and girls was poligoneros/-as (inhabitants of Polígonos or low class nieghborhoods of poorly built 1960s & 70s apartment complexes that abound in the outskirts of all major Spanish cities). Your dad’s Adidas hat should have fit right in. I just found your blog…and i’m addicted to your posts! So funny! Keep sharing them!